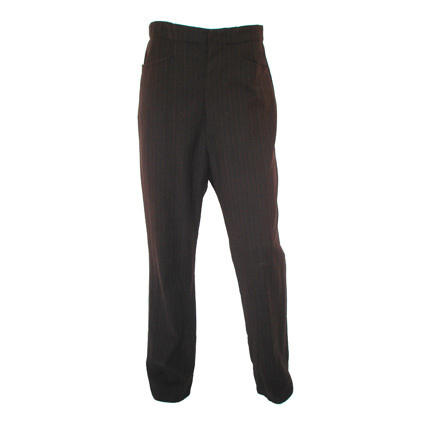 This pair of dark brown trousers was worn by the character “Bill” portrayed by actor Richard Gere in the 1978 motion picture “Days of Heaven” starring Brooke Adams and Sam Shepard. 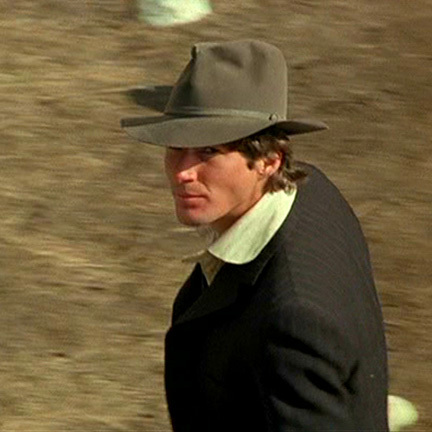 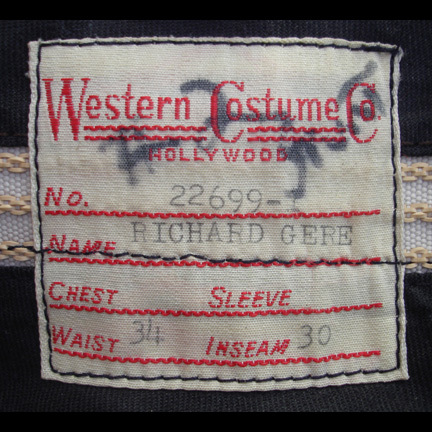 The pants have the original Western Costume Company label sewn inside with the name “Richard Gere” clearly typed. 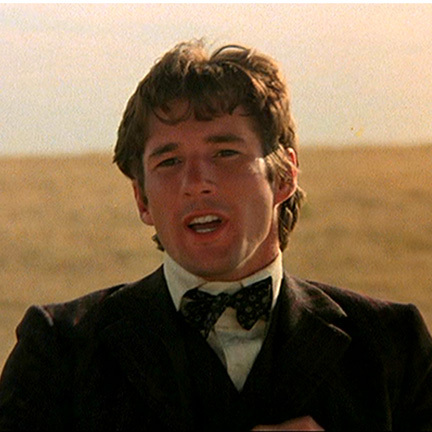 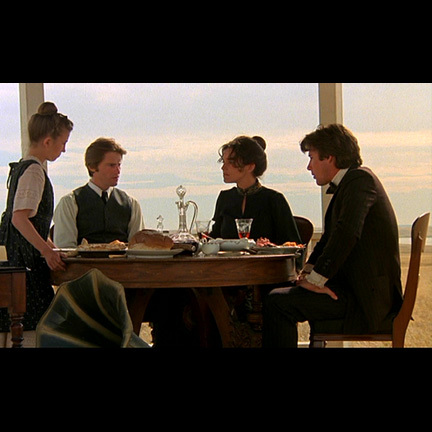 Mr. Gere wore the garment in the sequence where Bill and "Abby" (Adams) dine in an outside gazebo with their host before Bill gets in a food fight with the young girl "Linda" (portrayed by Linda Manz). 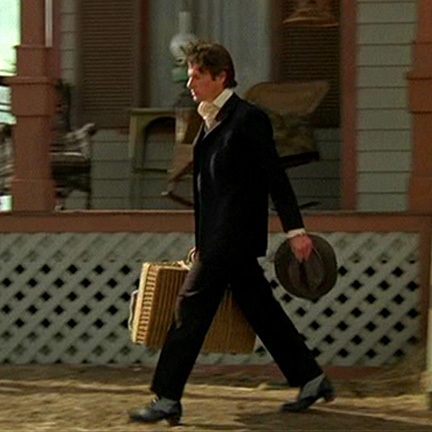 The actor also appears wearing the pants in a separate scene when Bill abruptly decides to leave the farm he and Abby are staying at and join up with a traveling aviator show that arrived in their area of the Texas Panhandle. 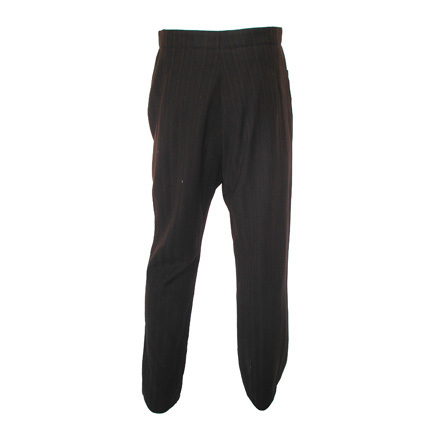 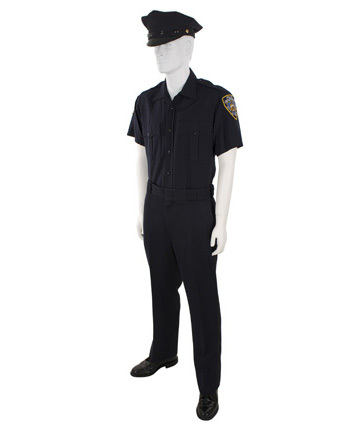 The pants are in good screen worn condition and are accompanied by a letter of authenticity.